Q. Recently there was a senseless, random and tragic shooting in the news and I’ve been having a lot of trouble with the idea of forgiving the shooter. I’ve talked to a lot of other people who feel the same way. But as a Christian, aren’t I supposed to forgive others? What should I do? A. First of all, don’t feel too bad about the fact that it is “hard” to forgive the shooter. It is hard! Tragedies like this are very difficult to deal with, sort out and come to terms with. I’m sure many others are experiencing this same difficulty. Senseless acts of violence are always very hard to deal with. People are left with many questions. Why did this happen? Could it have been stopped? What do we do now? I’m sure these, and many other questions, have been occupying the minds and hearts of all those involved. I think the only way we can sort things out and put them in their proper perspective is by looking at them in the light of our faith. God loves all people. In fact, Jesus came into our world, died on the Cross, and rose from the dead for each one of us. His love for us is way beyond what we could ever comprehend, or even imagine. In fact, His love for those who have suffered through this tragedy, including the shooter and his family, is as strong as it is for all of the victims of the shooting. This can be hard to understand, and perhaps, it can even be hard to accept. Forgiveness is at the heart of our Christian faith and, therefore, should be at the heart of our lives. Forgiveness helps bring freedom from the hurt, confusion and pain. I often reflect upon Jesus’ dying words on the Cross when it’s hard to forgive. 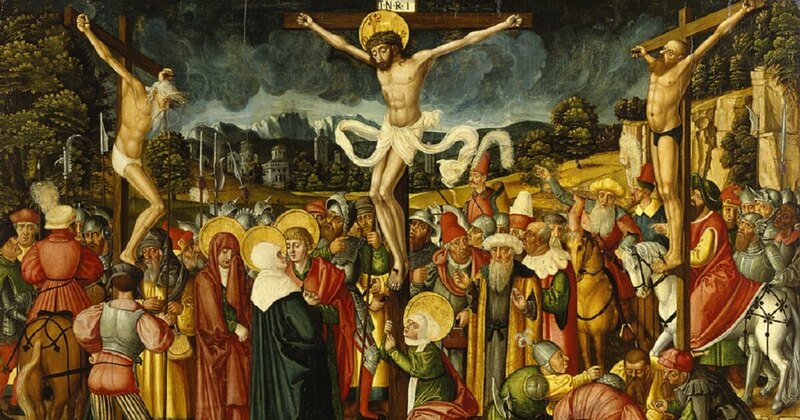 He looked out at all of those who had just crucified him and said, “Father, forgive them, they know not what they do.” There are two things spoken here. I have always found this second statement especially helpful when trying to forgive someone who has not clearly repented of the sin he or she has committed against me. Often times, people commit serious sins for unknown reasons. Perhaps they were deeply distressed, confused, mentally ill, emotionally unstable, lonely, angry, etc. Truthfully, forgiveness of others is more for our sake than for the one we are forgiving. If the young man who did the shooting was still alive, offering our forgiveness would certainly help him to see the wrong that he did and to repent of it on the deepest level possible. But if he took his own life also, his soul is left solely in the hands of God. We can only pray for him. But, in this case, I think that forgiving him of this action is primarily essential for our own good. The burden of being angry and resentful hurts only ourselves. Though it is difficult, forgiving him will bring peace and freedom. It will also help to open us up to God’s mercy in our lives when we need forgiveness. So do your best with this difficult situation. Pray that God will give you the grace to forgive him and, when possible, offer some prayers for him and his family. By doing this, you will be turning the hurt, confusion, and your own life, over to God.